There is no doubt that the children‘s language camp has a number of benefits for children of different ages. Of course, no one can challenge the role of the school for a child. But unfortunately, not always the school classes are enough for the kid to learn a language. The school program follows a traditional educational model that doesn‘t work for every child and doesn’t include enough games and communication which children need. Some children require additional lessons for improvement of the English language level, which doesn‘t always help. The summer language camps provide an incredible opportunity for children to learn English language in a warm, friendly environment, without being assessed and criticized for their mistakes. Parents around the world are becoming more and more aware of the benefits of the summer language camp, and for that reason their popularity continues to grow. What better way for a child to spend his summer vacation productively than learning new things and being active in nature? 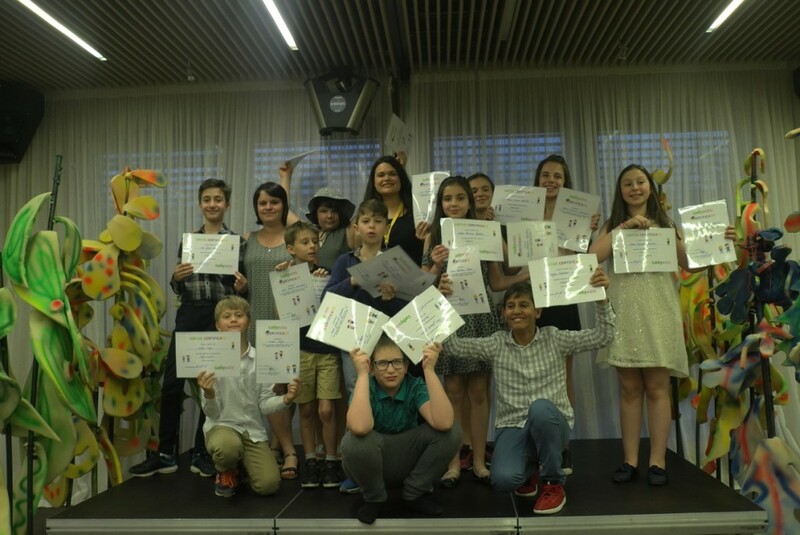 The main advantage of the language camp is that children find themselves in a foreign language environment and they very easily learn the foreign language vocabulary by communicating with the teachers and their classmates. In addition to the improvement of their language skills, children learn a number of social skills and make contacts that can last a lifetime. Moreover, they include entertaining educational games which encourage kids to use their skills and get out of their comfort zone. The new educational methods help the children not to be afraid of their failures, but to believe that there are an integral part of the learning process, and that it is important to overcome them and improve their skills. What are the similarities and the differences in the practices of the foreign and Bulgarian camps? It doesn’t matter in which camp you will enroll your child, because for sure the kid will benefit from it and will obtain valuable knowledge and skills that will be useful in the future. The language camps abroad and those in Bulgaria function almost in the same way with regard to the educational program and the extracurricular entertaining activities. The provided sports activities included in the program of the camp, are almost the same as in foreign camps, except for some sports activities such as rafting, shooting, horse riding, rock climbing and other. One of the differences is in the preparation of the educational program and the set program of the classes. In Bulgaria we can find a children’s camp for our child where the kid can learn the language according to a new methodology. One of the famous Bulgarian international children‘s language camps is Lucky Kids. This children’s language camp offers intensive learning of English language, following the latest trends in English learning. The qualified teachers there apply one of the newest foreign language teaching methods that guarantee rapid and positive learning results for each child, and they help even the shy children to overcome easily the language barrier and to start speaking English. What is the advantage of Lucky Kids compared to other camps and why? English language courses follow the latest trends in pedagogy in foreign language learning. The educational program of the camp applies innovative methods for English language teaching and learning for children such as Montessori, Suggestopedia, Solar Pedagogy. They allow each child to enhance the quality of knowledge gained with regard to the educational material. In the English language classes in the camp are used teaching methods such as interactive boards and tablets. This stimulates the audio and visual perception of English language in children. This is one of the reasons why the lessons in the children’s language camp have a positive effect even for the most difficult children. The requirement for the teachers there is to present the educational block in a fun and interesting way that will encourage the children to seek knowledge out of the classes and be curious to find new things about the world. Each teacher has a unique task for the child in the educational process because each child has individual needs regarding the presentation of the educational material. The style of work of each teacher is individual, basically following the model of teaching set by the coordinator of the program. Various methodologies are also applied in the camp that are in compliance with the current dynamics of the camp season. Camping stay from 7 to 14 days gives great results in the foreign language learning and builds a good foundation for further English language education for the child. The teachers in the camp are native, which is a prerequisite for children to learn the correct English intonation. At the end of the camp every parent receives a report containing the results of the child, and in it are described the achieved results and also what should be done in the future. Summer language camps encourage children to make independent decisions without the intervention of parents or teachers, and help them to know themselves better as part of a community where parents have no influence over decisions. The language camp helps children to get more easily adjusted to a new and different environment, other than home, and to increase their self-esteem, and also trains their ability to cope with unexpected situations, and helps them acquire leadership skills and co-operation skills. Children in the camp are not subject to assessment and criticism when making a mistake, so the feeling of competition in the camp doesn’t exist in contrast to the school environment where children feel compelled to meet all requirements and expectations of teachers and parents, which causes stress in children. So the high score itself sometimes becomes a goal, and not so much knowledge. In the children’s language camps the teachers encourage the kids in the camp to achieve positive results without additional assessment with rating that undermmine their confidence. Children not only improve their English language skills, but also they learn a lot of useful things about the world that will benefit them in the future. In the language camps for children there are cooking classes, history classes, survival in nature classes and others that enrich children’s knowledge of everything around them. In the language camps the child meets different people and has the opportunity to create many new friendships, some of them can even last a lifetime. This makes them tolerant to the people from different nationalities and not have prejudices against them. The tasks for the different teams in the language camp include also preparation of common projects, which gives the children the opportunity to learn to work in a team. The children’s language camp teaches children the different virtues such as empathy, honesty, hard work, tolerance, perseverance. In the language camp, communication in English is constant. But the environment is also predisposing and similar to that in home, which is the main goal of the camp‘s team. In this way, the children unite and imperceptibly the process of daily education begins, as they start communicating with each other. When children feel comfortable, as if they were at home, they will learn more easily. Children not only speak English in the classes, but they speak in it during the games and physical activities out of class. This helps the child to become more confident in the communication in English. With the help of the carefree games outside, the English learning starts to look like a game to the children. The language camps provide each child with the opportunity to immerse in a foreign language environment that helps for the rapid and easy learning of the language. Since the English of the teachers in the camp is native, children can learn the exact pronunciation of the words. In language camps, children not only learn English more successfully but they also gain valuable skills. The classes and physical activities stimulate the logical and creative thinking of children. They help them also to train their skill to solve problems and to look for solutions regarding conflicts, in unexpected situations. Because they have to live without parents, together with their classmates, the children in the language camp learn what is self-discipline and responsibility. This can be seen, for example, in a self-initiation of the children for room cleaning or arrangement of items. Since outdoor physical activities are performed in the language camps, in this way children understand that not only TV and computer games are fun. 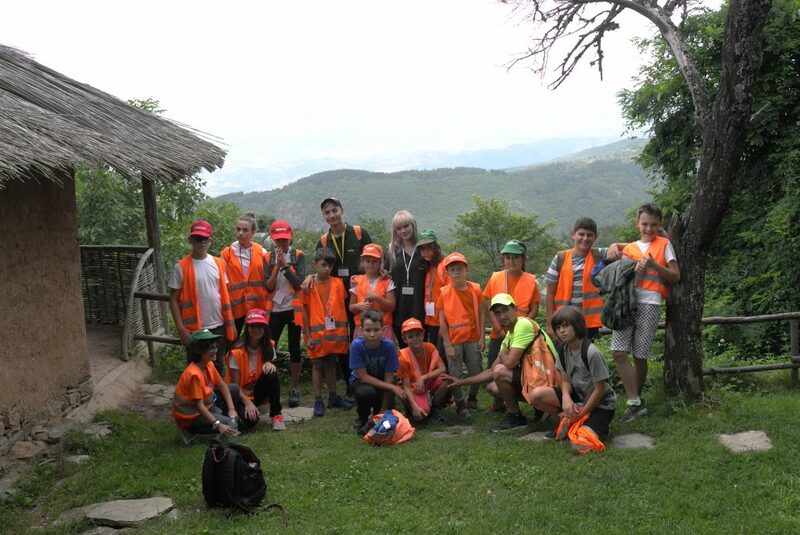 Language camps offer children the opportunity to participate in different physical activities such as cycling, paintball, mountain climbing, picnics in the mountain, horse riding, mountain trekking, swimming, yoga classes, dancing, boat rowing. Moreover, in the camps there are also educational activities which simultaneously teach children something new and give them a fun experience. These are, for example, extra-curricular activities such as cooking school, role-playing games, movie screenings, shooting, treasure hunting competitions and many others. During the physical activities in the camp, the child learn more things about his own abilities, which are not always revealed during the school classes. Thus, by participating in new activities children get to know better themselves and find new abilities which they didn‘t know they have. It is truth that thanks to the new technologies children have lost their connection to nature. Since many of the physical activities carried out in the language camps are performed outdoors, this way children are educated to love nature. So they realize better how important is to preserve the nature clean for the future generations. Children spend most of their time outside, far away from the computer screens and smartphones, because the use of electronic devices is limited in the language camps. Also, the summer language camps teach children the important survival skills in nature, which is unlikely to happen in the school classes. Previous Post: Is it necessary to prepare in advance the child before the summer camp?